Can you be homesick for a place that’s not home? Because I’m really missing Bavaria lately. 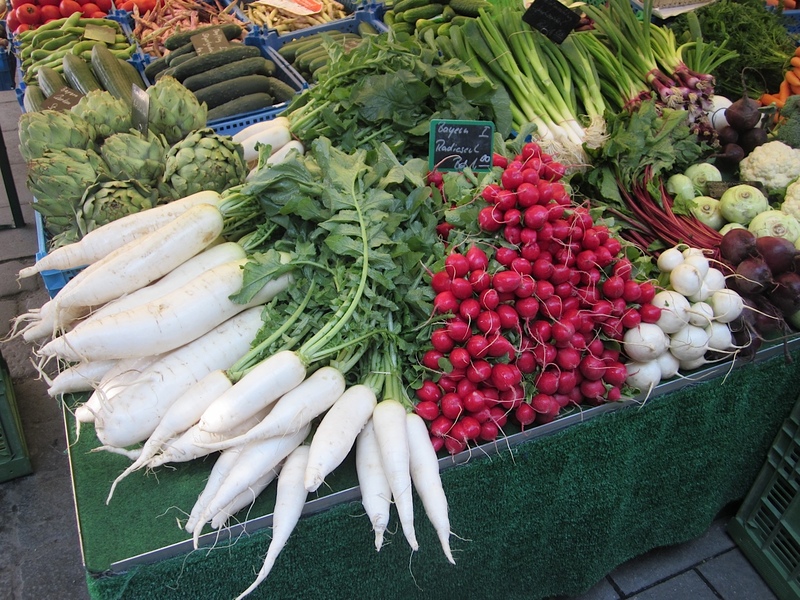 And it has everything to do with my über-craving for a Radi (a giant white radish from Germany). I keep twitching my nose while thinking Bavaria, but so far I haven’t left my kitchen. I took this picture at the Munich Viktualienmarkt. The Radis are the large white beauties underneath the artichokes. I wish I could reach into this picture and pull one out. Sigh. 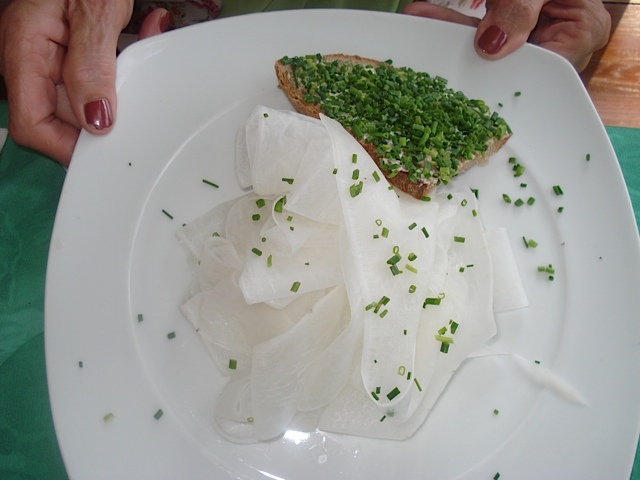 Bavarians eat Radis sliced VERY thin (they are often cut to resemble a slinky) and sprinkled with salt until the Radi “cries”. Often, they are served with brown bread & butter with chives. But my favorite way to eat a Radi is all by itself . . . mmmm. And what do you drink with a Radi? Well, a Bier, natürlich. Whenever I’m in Bavaria, I make a B-line for a Radi and a Bier. Opa (my husband’s grandfather) knows this, so every time we sit down at a restaurant, a Radi & Bier appears. I don’t even have to use my mangled German to order. It’s glorious! I can drink Bier in Germany for a few days, but then I have to switch gears. And that’s when my Radler binge begins. I’m still in Radi & Bier mode here, though. What’s a Radler? In Bavarian dialect, Radler means cyclist. A Radler is the Bavarian version of a sports drink. It’s an extremely refreshing, low-alcohol drink made with beer and limonada (a German lemon lime soda with less sugar than American Sprite). It’s usually a 50/50 mix of beer and soda, but the proportions vary according to who’s making it. 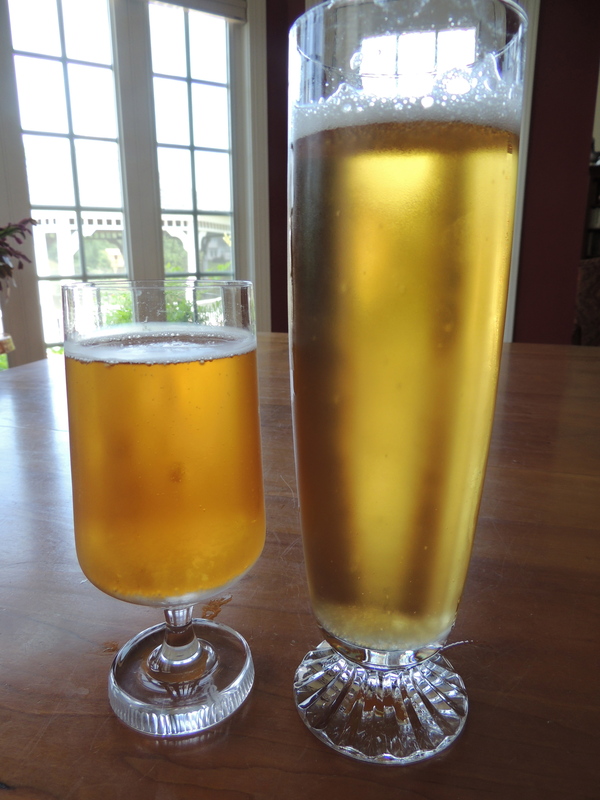 The Winegetter recently wrote a wunderbar blog post about Radlers. Oliver does a super job delving into the history of the Radler. Fascinating stuff. I’ve been craving Radis, Radlers and Bavaria ever since I read it. 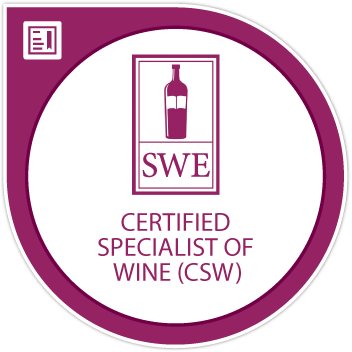 And btw, Winegetter . . . I’m on a Stiegl Radler Grapefruit mission . . . I’m turning over a lot of stones around here trying to find some! So where do you get these Radlers? 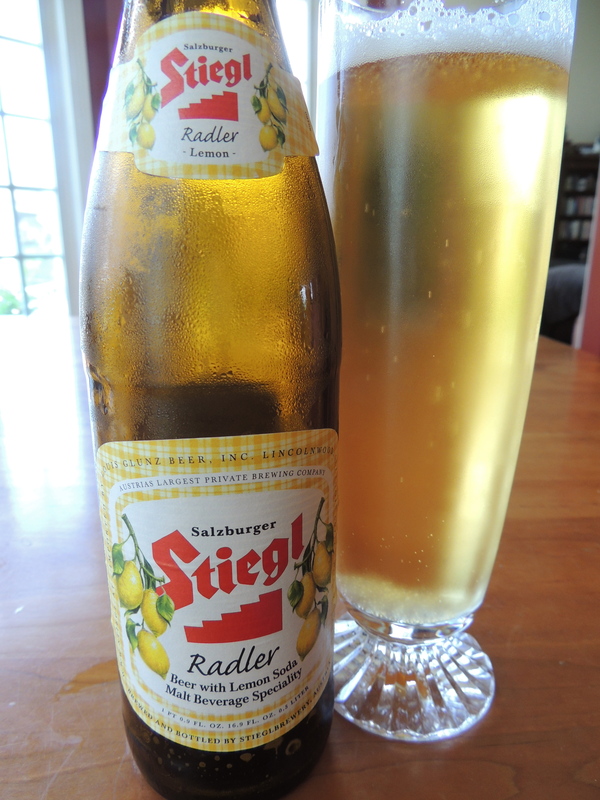 A couple of years ago, I was shopping for wine (shocker) at Wegmans and I saw a bottle of Stiegl Radler on the shelf. I thought it was a mirage. I immediately bought every bottle they had. For those of you on the east coast, I’ve seen it at Total Wine, as well. A friend of mine recently told me about the Sam Adams version of Radler called Porch Rocker. I wish more American breweries would jump on the Radler bandwagon. This is an untapped market for summer refreshment. Stiegl Radler Lemon: The Steigl is a half-liter bottle. I prefer this size. I’ve already started hoarding this for the H3 (hazy, hot & humid) days of a Virginia summer. This is the perfect beer for people who don’t love beer. It’s not very beer-like. It’s more like lemonade with a buzz. At only 2.5% alcohol, you could drink these all day. You see? It’s a sports drink. 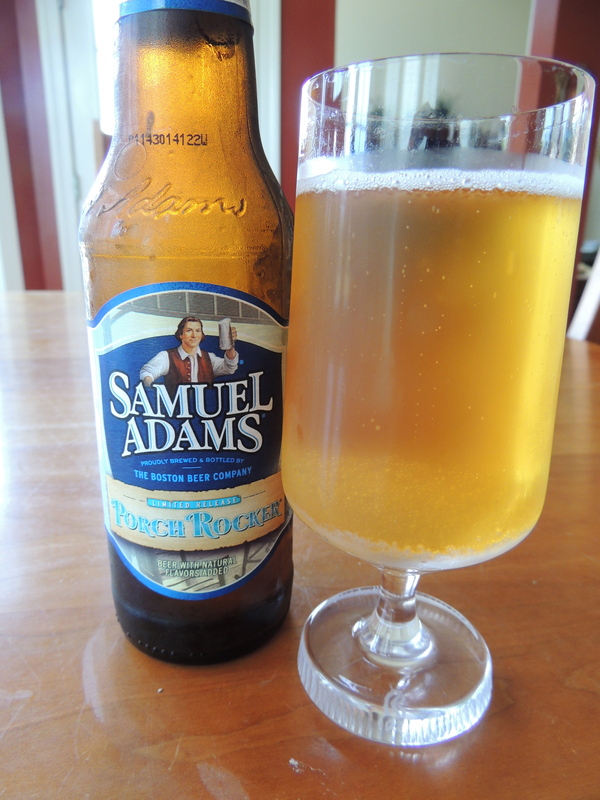 Samuel Adams Porch Rocker: The Porch Rocker is a standard 12 ounce bottle. I love the name — makes me think about those Bartles & Jaymes wine cooler commercials of the 80s. Definitely more beer-like than the Stiegl. And more alcohol, too, at 4.5%. The Porch Rocker is good, the Stiegl is better. I cut my teeth on Radlers in Bavaria, so I crave the taste of the German version. Here’s the two side-by-side. 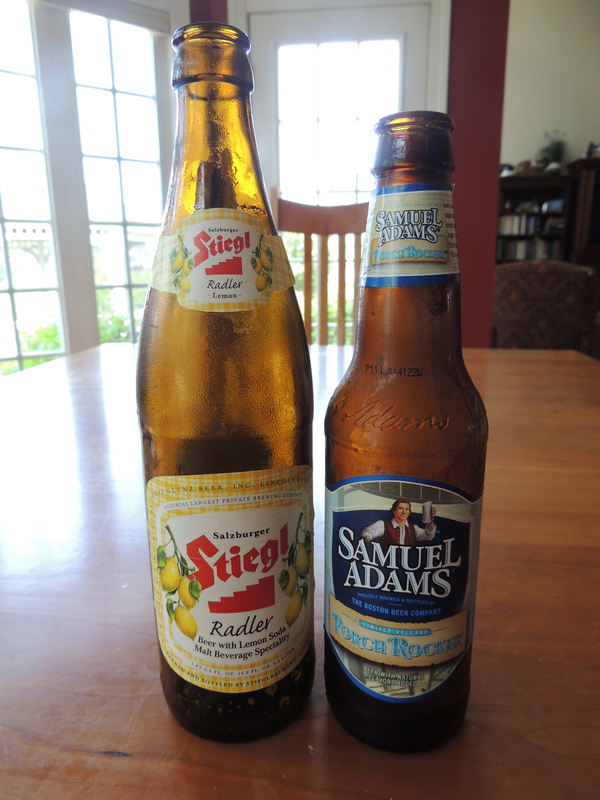 Porch Rocker on the left, Stiegl Radler on the right. On an ounce by ounce basis, they both cost about 14 cents an ounce. Bottomline: The Stiegl is lemon with a slice of beer. The Porch Rocker is beer with a slice of lemon. Now . . . if I could just get my hands on a Radi. Previous Post: Pssst . . . your wine bottle is dirty! I tried the radler in Bavaria but thought it too sweet. Instead, I became hooked on sprtizes! I drank a Spritz or two in northern Italy . . . they are yummy! Prost!! that does it. TWO posts about radler on now i’m on a mission: must. find. radler. i must admit, i thought about mixing fresca with a lager…if i can’t find any locally i will use your recipe. cheers! I just ordered Münchner bier radish seeds . . . I’m going to try to grow my own! Prost! H3 days are coming in Connecticut – time to hit the store. And – your description of Radi was soooo tasty – can we find one here? I’ve never been able to find a real Radi in the states. Someone told me a Daikon radish is similar, but I haven’t put that to the test yet. I did just buy some Münchner bier radish seeds. We’ll see if I can grow my own Radi! Prost! The grapefruit Stiegl us my fave! 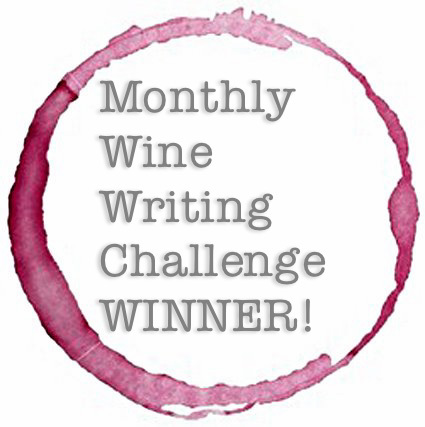 I told Winegetter about it and he picked ip a bunch on a recent trip to Chicago. As far as I know, their radlers were only in Chicago, imported by Glunz importers there. I’ve begged local guys who work with Glunz to bring it here and it coming soon. Good luck! !